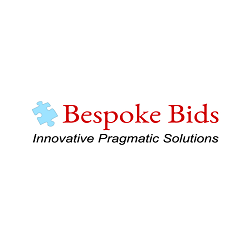 Bespoke Bids Ltd provide Bid Support Services that help SMEs to win more and spend less in competitive Tendering situations. They're here to advise, coach and support your Enterprise to become a successful Scaleup through Bidding for Public (Central Gov and Local Authority) or Private opportunities - whichever sectors you operate in. With over 70 years combined Bidding experience between them in the boardroom alone, Bespoke Bids Ltd was set up in the North East 4 years ago. Coming from different industries with varied business skillsets and valuable practical expertise they really have seen it all – the good, the bad and the ugly of the procurement and Bidding world. Today, we were lucky enough to have Bespoke Bids themselves talk us through the tendering process, and the ins and outs associated with it. Please tell us about your business’ background in the Tender and procurement process and how you got involved with it. Everyone at BBL has years of proven, Bid-winning experience and our services have been called upon to secure all sorts of contracts; everything from window-cleaning to aerospace, from printing to defence. My own Bidding life started around 25 years ago as a Commercial Manager for a UK Government Agency gaining contracts with Local Authorities and winning funding from international organisations, such as the World Bank and the Regional Development Banks, to further our own innovative environmental and natural disaster solutions on a global basis. That’s when I realised the importance of getting the right messages across, to ensure that buyers really did select the best option presented. I also found that whilst most businesses and their staff are brilliant at what they do, they’re not always so hot on promoting themselves or articulating their solutions in a way that convinces potential buyers. How does the Tender process work then? If your SME is providing goods or services, B2B or B2G, you are probably missing out on valuable business if you’re not participating in Tenders. In July 2018, UK Government alone published 2,300 Tenders worth £44Bn - no sign of a Brexit slowdown there. Believe it or not, despite what your current perception might be, the Tendering process is quite straightforward. Put simply, buyers wishing to solve a business problem will go out to market and select the best solution proposed by suppliers. The only difficulty is that many SME suppliers don’t have the resource, time or expertise to know where to start with Bidding, let alone create and embed new systems or brush up on winning techniques. This is the gap BBL will focus on with you; it’s the bridge we’ll help your company to cross to become proficient and successful with your Bids activity, supporting your Scaleup effort by Winning Competed Contracts. What services do you offer to businesses to guide them through the Tender process? We offer the full range of Bid Support services. This means that you’ll benefit from a consistent approach and message throughout your engagement with us, giving you the encouragement you’ll need to get you right through the Bidding journey. Once we’ve established your baseline position, we’ll provide tailored coaching or training to help you embed a Bid Process bespoke to your needs. We’ll take you through the stages of creating persuasive collateral, supporting your Bid writing and Bid management activities until you can confidently stand alone to win competed contracts. What sectors do you have experience in writing Tenders for? We’re often asked this question. There are few sectors that we haven’t been involved in but some key areas for us have been Aerospace, Defence, Rail, Engineering and ICT. As I said earlier, though, we’ve also worked for window cleaning companies, printers and a whole host of other small enterprises and we value each assignment equally. We haven’t Bid for ‘Undertaker Services’ yet, but even these are regularly put out to Tender. In actual fact, Bid Writing and Bid Management are independent skills. You could say they’re sector-agnostic. People in these roles routinely hop from one sector to another with ease as the required technical knowledge comes from each supplier’s own experts. The Bids practitioner’s job is to take all the available information and articulate each solution, every single business offering, in the way that convinces the buyer that they have to have it! Do you have any experience in writing Tenders for international projects? Yes we do and we’re very proud of the international successes we’ve achieved on behalf of British and overseas based companies. Our most significant experiences in responding to Tenders for global projects range from the Eurofighter Typhoon in Defence to Qatar Doha Light Rail in Transportation. On a smaller scale, we have supported European Communication organisations to win work supplying the European SESAR programme. We have also recently supported a UK/Spain Tender into New Zealand Air Traffic Control. Where appropriate, we engage with our in-country Associates to ensure local legal, ethical and cultural issues are addressed. What are your top tips for a business who are about to write their first Tender? The overarching recommendation has to be: Have a suitable Bids Process in place, stick to it, then review it based on experience. The Process can be as simple or complex as necessary for your business but should include the following elements. Firstly, thoroughly Qualify the opportunity. Then, have a robust Tender Plan incorporating your Win Themes and ensure everyone involved in compilation understands and explains these throughout the draft. Create a Style Guide including preferred word spellings and the terminology you will use to refer to the Customer and indeed to your own company. This means that the first draft will be as consistent as possible, freeing time up to be spent on honing and perfecting the document and the offer rather than merely proof-reading. Now, it sounds obvious, but please fully answer all the questions – you’d be amazed how many bidders don’t. External reviewers are really useful to check that. Don’t go overboard on the questions you are comfortable with at the detriment of more challenging issues. Make sure your Tender is Concise, Consistent, Coherent and Compelling. Watch out for word counts. Finally, undertake a no-holds-barred Lessons Learned at the end of the process. Don’t just document it and file it away – actively refer to it in future Tender exercises. What advice would you give to a business who has submitted a few Tenders but not been successful in winning work? First of all, we would ask them to examine their Opportunity Qualification process. We recently undertook such an exercise with a leading North East company where the MD was determined to submit a Tender for new international work. Our recommendation was a fully justified No Bid decision that, once accepted, immediately saved the company significant amounts of cost and resource. Secondly, we would look to review a couple of losing Tenders with the business to ascertain where the issues lie. In a losing Bid we’d be expecting to see that all the questions were not fully answered and the win themes were not fully incorporated or adequately emphasised. Thirdly, we’d be looking to make sure that the business understood the current ‘Market’ situation. Who is the incumbent? Who are the likely competitors? Where are you positioned? I suppose you could say that any business with whom we engage would ‘Learn from our past to benefit their future. What other support is there for businesses hoping to win work? We work with a number of agencies providing Tender Alerts for upcoming opportunities. SMEs wanting to Win Competed Contracts should register on the Tender portals relevant to their business, many of which offer a free registration service. All this information plus signposting to other suitable, complementary enterprise support services available from, for example, North East Growth Hub and through RTC’s Scaleup Northeast programme will be made available during our consultations with Scaleup clients. Suitably inspired? Head back over to our procurement toolkit for more information on how you can win public and private sector work.